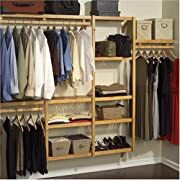 This page will give you some basic tips to help you learn how to organize your home, and I'll keep adding more pages and resources over time. Organizing your home to run at maximum efficiency level means that you clear clutter and organize each room so that you can find items without endless searching and experiencing frustration. Each room in your home has its own challenges. The kitchen may be your “Waterloo,” or it could be a kid’s room or the den/living room. Organizing your home can be overwhelming if you don’t have a plan. This first set of tips will help you know where to start. The first thing that you need to do is make a list. Get a pen and paper and go through every room in your house. Write down everything that needs to be organized. Don’t worry if your list is really long, you’ll break it down later. To begin and to find out which areas in your home need the most work, first take the time to jot down the problem spots in each room. Write down one problem per page, leaving room for the solutions. Once you’ve prioritized, you can make your daily lists. Get a big piece of paper and write the days of the week across the top. Then look at your prioritized master to-do list and start writing all of the “A” projects under a week day on your paper. Be careful to put not more than two or three projects on one day, otherwise you may get overwhelmed. You now have a daily list of projects to get done (“A” projects, then “B” projects, and so on). Keep doing this every week until you get all of your projects done. This room can be the central gathering place in your home, so it may require the most work. If everything seems to be settled on the counters, your first step might be to figure out solutions to clear the space – and keep it cleared. 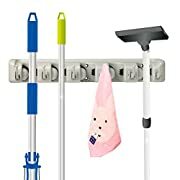 Paper towel holders, under-cabinet storage and magnetic knife holders are just some things you might want to consider. The triangle theory states that your time in your kitchen will be more effective if you set it up like a triangle. As you pay attention to how you move in the kitchen, it can be described as going from the sink to the stove to the fridge, or some variation of that. •Go through and throw out bad food at least once a week. 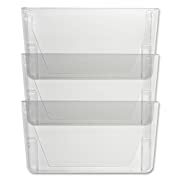 •Store leftovers in clear containers. •Go through condiments, and check expiration dates. It’s important to organize your pantry so that you always know what you have. •Group like foods together, i.e. fruits, vegetables, soups, etc. •Use containers or baskets for smaller items, such as gravy and Kool-Aid pouches. •Put glasses and cups in a cupboard near the sink. •Give each thing its own shelf, i.e. plates, bowls, containers, etc. If you have a small kitchen, it may be very hard to organize it the way you want to. •Install mug hooks under your cupboards. 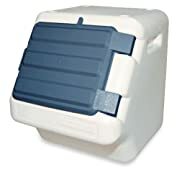 •Use square containers instead of round ones. 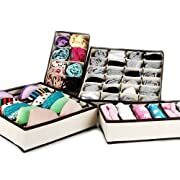 •Get “rolling” drawers that you can just pull out when you need them. I recently went through my spice cabinet and was shocked at how much I had (duplicates!) and didn’t use—and I’m a born-organized person! Pitch what you don’t use or is out of date. Consolidate in to smaller bottles, if possible. Use lazy-susans if applicable to your cabinet space. Take a look at your kitchen appliances on the counter (or up above the cabinets). 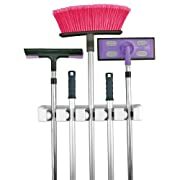 Do you have too many things that you hardly ever use, but collect dust and kitchen grease? Take an honest assessment of what you have and when you last used the item(s). If you haven’t used it in a while or don’t plan to use it in the near future, donate, sell, give it away, or pitch it. Take a look at the cast-iron skillet you have but haven’t used in God-knows-how-long. Useful, yes. In your life? Maybe not. Be honest and be brutal. 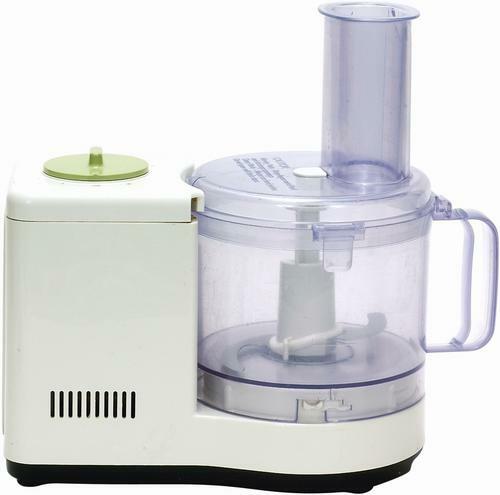 You’ll end up with kitchen appliances that you love and that are useful, not clutter. We’re gonna get down and dirty here: under your sink! Most people keep cleaning supplies under there; some keep garbage cans, and still others, appliances. No matter what’s under your sink, tackle it! 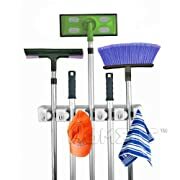 If it’s cleaning supplies, look and see what you’ve used and never used and what’s just dried out and old. Pitch what you don’t use, won’t use, or is old. Organize your cabinet in the way that’s best suited to you—what you use the most up front, what’s less-frequently used in back. If you don’t have a dishwasher, remember to leave room for your empty dishpan to collect dirty dishes. However many of them you have, you probably don’t use everything in them. Be brutally honest here: if you haven’t used it recently, you probably don’t need it. Pare down to 8-12 place settings with your dishes; serving dishes are necessary, but no one needs 7 serving dishes that are the same size. If you’re cramped for space, consider how much more relaxed you’ll be when you open your cabinets and can actually FIND what you’re looking for! 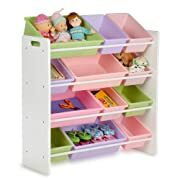 Organize your shelves in the way that best suits your family needs—it doesn’t have to be perfect, just useful. Finally, go through your baking cabinet. If you don’t bake cheesecakes, why keep the springform pan? Do you have 12 cookie sheets? Three or four is as many as one family needs—even if you have two ovens, each only has 2 shelves. One sheet is on one oven shelf, so 4 would max out your ovens. Do you have broken appliances? Pitch ‘em! Put what you use in front, and things used less-often towards the back, but still in reach. 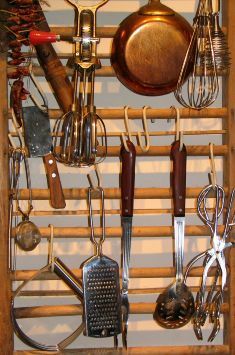 Organizing tips are great, but the bottom line is that you need to organize your kitchen to best fit your needs. For example, if you don’t cook much, alphabetizing spices may not be a necessity. On the other hand, if you entertain often, the use of your serving space will be very important. This is one of the most difficult areas in a home to keep clutter-free, possibly because of lack of storage. 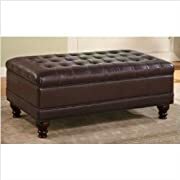 If you have trouble finding a place to sit down on your sofas or chairs, it’s time to find solutions. Book cases are a great way to organize your books and knick knacks that you want to keep and make a decorating statement. Some homes have a “great room” and no living room, others have a “family room” and a living room. No matter what you call it or how many of these rooms you have, organization is necessary to make it a welcoming haven for your family. Walk in to this room as a visitor would. Notice the small details that you’ve overlooked in daily living. Do you see clutter? Your guests do, too. To make this room inviting, we’re going to reduce the number of *things* in this room and make it more homey. What did you see in terms of clutter? Magazines and newspapers all over? Toys? Shoes lying around? Start with several laundry baskets (empty, please!) and put things that don’t belong in this room in the baskets. 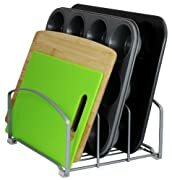 The idea is to send things to different areas of the house in these baskets and make your de-cluttering that much easier. Throw away the newspapers and old magazines. If you’re just not going to have time to read them, get rid of them. Why have them hanging around making you feel guilty? Put toys in the basket that will get them to their owners’ rooms. Shoes should be kept in the room where their wearer lives. As we move through the house, we’re going to hit the master bedroom next. I want this room to be a haven and an escape for you. You won’t see your room as that if you don’t like it and the decorations you have in it. 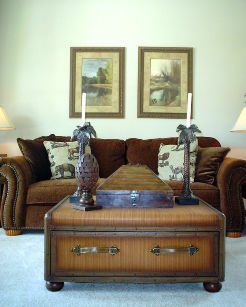 Walk in to your bedroom as you walked in to the family room and look at it critically. Is it cluttered? What’s the first thing that you notice? Do whatever that is first. If it’s making the bed, do it. If it’s putting dirty clothes in a basket, do that. Whatever it is, get it done. 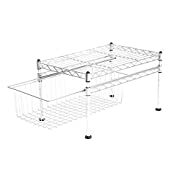 Does your bedroom fall under the Law of Flat Surfaces? If so, start by clearing off the dresser(s) and headboard. If you have papers there, look through them, pitch what needs to be pitched, and file away (as you did in the study) what needs to be filed. If you have lots of things on your dresser tops and top of the headboard, the next challenge is to de-clutter. You’ve already done the paper-aspect of this—now look critically at the other things you have. Do you have too many jewelry boxes? What about baskets that are supposed to organize things? Now is the time to determine what you absolutely love and wear all the time and what you hardly look at and almost never wear. Pull out the things you’re not crazy about and get rid of them. Give them away, throw them away, or sell them online. If you have too many “organizing baskets,” now is the time to realize that more things to hold your clutter isn’t “organizing”—organizing is paring down what you have and then keeping it orderly. Go through your baskets and determine which perfume bottles are your favourites and which ones you just don’t use anymore. There’s no glory in keeping 35 scents on your dresser if all they do is collect dust and make things look messy. Let’s move on to the floor. Can you walk freely in your room? If not, use the laundry-basket method and pick up the things on your floor. Deposit the items in their correct location and run the vacuum. No moving the bed or dressers—just sweep where you can easily walk. Walk to your closet. If you have “fat clothes” and “skinny clothes,” now is the time to be realistic and get rid of anything that you cannot wear RIGHT NOW. Don’t hope for a different size in 2 months—pick out the best of what you have right now and will wear right now and keep only that. If you’re staying at home and not in the working world, get rid of your work clothes. Donate them to a women’s shelter or sell them online. Do whatever you have to do to pare down the number of outfits in your closet. When you have only what you love, you’ll take better care of it. Once you’ve purged your closet of things unworn and out of style, take a look at what’s left. Organize that by style of clothes. In other words, put blouses with blouses, skirts with skirts, and pants with pants. Make it easy on yourself to find clothes in the morning! When is the last time you washed your bedding and curtains? You might find that a quick trip through the washer and dryer brings back even the dingiest of bedding. A child’s room is fun, but without the right organization it can become so messy that not even the kids can have fun in there. 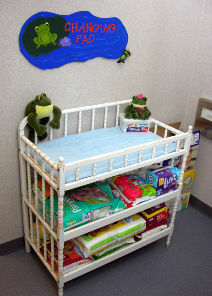 If you have small children, storing toys or other items at his or her eye level is a good idea. They can easily put up a toy if they can see the space where it belongs. 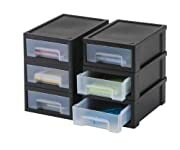 Plastic storage boxes are great remedies for those little pieces of Legos or Barbie things. Make sure that the clothes rod is low enough for your child to reach. 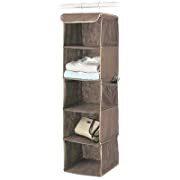 You can put stackable baskets in his closet as well for shoes, gloves, etc. If your child has too many toys, it’s a great idea to rotate them. Go through them and thin them out, but keep the ones you take out in a bag in the garage. Every few months, rotate these toys back into your child’s room, taking others out. This will give him variety and let him enjoy his toys more. An organized dining room adds extra comfort to a home. If you’re like me, sometimes it’s the only organized room in the house! Let’s take a quick look around. Do you eat in here often or is it only for guests? If you don’t use it often, you may just have some simple organizing and dusting to do. Are there papers on your table? 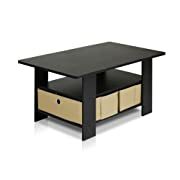 Is this table a collection spot for things you want out of your way and then forget about? If so, take the bite out of the Law of Flat Surfaces! 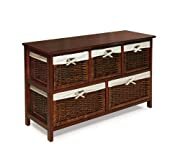 Use the “laundry basket” method we talked about in the family room here: if there are things that don’t belong in this room, put them in baskets and take those baskets to the appropriate rooms. Do you have a china cabinet or other means of storing fine dishes? If so, how does the cabinet look? If it’s stuffed to the gills, start by taking a hard look at what you have, how many place settings you have, and how many you need. How many creamers, sugar bowls, and teacups do you have? Are they collecting dust and never getting used? Pare down and give them a quick dusting with your duster. When you open the doors to your cabinet, do you grit your teeth and wonder what’s going to jump out and kill itself at your feet? Consider giving your surplus to a newly-married couple that can use it, or donate it to a women’s shelter or other worthy charity. Dust down (or use furniture polish—whatever is applicable here) the front of your cabinet. What about your lighting source? Dusty? 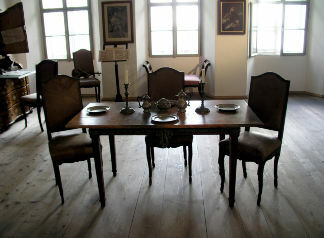 Grab your duster—hit the table, the chairs (rungs and bottom of the table, too! ), and the lighting source. You don’t have to take it down and scrub it clean—just dust it, and if necessary, shake the dead bugs from it. As the final step, run the vacuum in here—not the edges, just the “middles” where you walk. Move the chairs but not the table—don’t even think about pulling out the china cabinet! If there are things behind there, they’re small and no one else is going to see them. This is one of the easiest areas to de-clutter, thanks to storage ideas that you can see online and in decorating books. Before starting to organize your bathroom, go though and throw out anything that’s outdated or no longer needed. 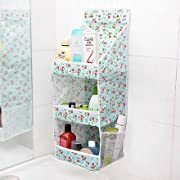 The first thing you should do when organizing a bathroom is to throw away “stuff” that you haven’t used in months or years. Then, you can start anew. 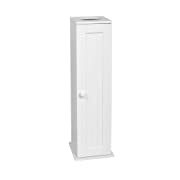 Keep cleaners in their own portable container under the sink so they’re accessible when you need them. It’s also a good idea to label your cleaners by room. The first things to consider are the countertops. Are they dirty and disorganized? First, take everything off of one area of the counter and place it on the floor. Spray that one area with whatever you use for bathroom cleaner and wipe it down. Put the things you took off that area back and repeat the steps with the other areas of the countertop. Put the things that belong in drawers away, and the things that should stay on top (soap dispenser, etc.) should be wiped down. 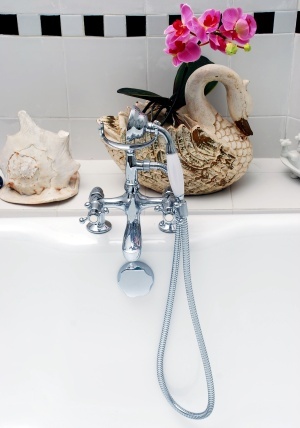 Don’t neglect the sink—use something that will break up toothpaste spit & soap scum and clean that baby out! Move on to the toilet. If you have things on the back of the toilet, take them off, put them on the floor, and clean the back of the tank. Replace the items and hit the area where the seat lifts—it’s a great collector of hair and dust. Lift the lid and wipe down the actual seat—you’ll be amazed at the collection of dead skin cells on it.Then clean underneath the seat as well. Next, scrub the inside of the bowl with whatever cleaner you choose and scrub it with a long-handled toilet brush. Flush and close the lid—this part is done! •Store only items that you use daily on your counters. •Empty the trash can daily. 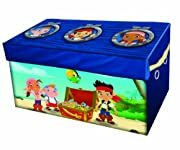 •Keep a toy bag in the tub for bath toys. •Put a magnet strip inside your medicine cabinet to hang razors,scissors and tweezers. •Make a simple fabric skirt to put around free standing sinks to hide things underneath your sink. •Roll towels instead of folding them. 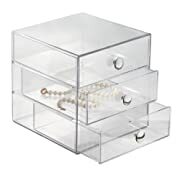 •Give each family member a square, see-through container for his or her personal things. Even if you only have a closet or tiny space for your laundry area, you can use organization tips for keeping it clutter free. A shelf or shelves above the washer/dryer is a great idea for storage as are canvas-lined bins and boxes. This is one of the easiest spaces to practice on when you want to know How to Organize Your Home! 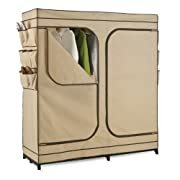 If you have excess laundry to deal with, you probably have a linen closet that is less than user-friendly. Once you have clean towels, rags, and other linens to put away, you won’t do it if your destination is less-than-appealing. So let’s organize it! This is the first place where you’ll have to be brutally honest with yourself about what you keep and what you get rid of. When I say, “get rid of,” I don’t necessarily mean it ends in the trash—if it’s towels, bedding, etc., that are in bad condition, your local animal shelter would be grateful for your donation. They always need things for the dogs and cats to lay on in their runs and crates, and your cast-offs in this area will be eagerly accepted. Take stock of what you have for shelves. 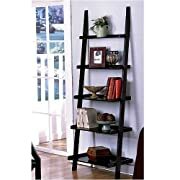 Do you have wooden or wire shelves? 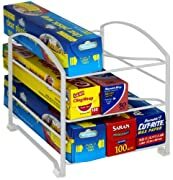 Do you have problems with things “falling through” if you have wire shelves? 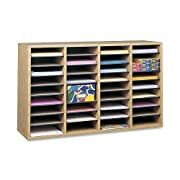 If so, you don’t have to worry and go buy scrap wood to line the shelves with—a simple piece of shelf-lining (you know, that bumpy green stuff that comes in rolls) will lay nicely and prevent small things from falling through. If necessary, put some of that down. Now take a look and see what you’ve got in terms of extra bedding. How many beds in your home? You should have a minimum of 1 extra bedding-set for each bed, a maximum of 2. 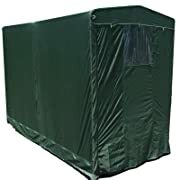 Think about it before you start to write me and tell me why you need 6 sets of bedding for each bed—if you have small children who have nighttime accidents (or get the stomach flu in the middle of the night), you might have to change sheets in the morning (or the middle of the night if it’s barf! ), and you’ll have some clean ones to put on. You’ll put the dirty ones in the washer and get the machine started on that task. Then you’ll swap things to the dryer. 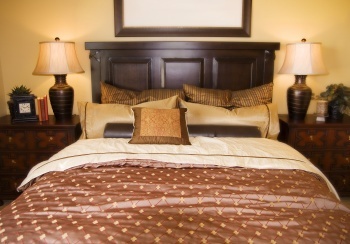 You’ll still have clean sheets on the bed and if you’ve got 2 extra sets, another clean one in the linen closet. So now with that argument won, go through your bedding. Do you have mis-matched pieces? If so, put them in the donation pile. Do you have twin pieces mixed in with king pieces? If so, separate them in to piles. Make sure everything is folded (I’ll give you a pass on the fitted sheets—those are impossible to fold neatly!). 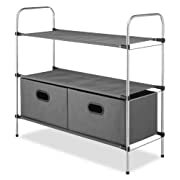 Now set aside one or two shelves for your bedding. Make sure that the bedding for the queen bed is not piled up with the stuff for the crib or twin bed. You can fold the stuff in squares or fold it in to long rectangles and then roll it. Either way is acceptable—it just depends on how much space you’ve got. Now we move on to towels and other things in your linen closet…. Take stock of your towels, washcloths, and other terrycloth things. Do you have towels that are holey or bleach-stained? 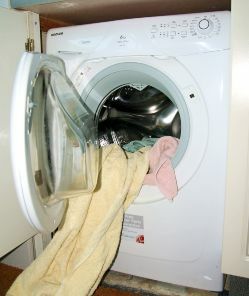 Do you have towels that aren’t very absorbent from using too much fabric softener? Do you have towels that don’t match your current bathroom décor? Donate them. Keep only that which matches your décor (unless you turn it in to a rag), and only that which wouldn’t embarrass you to put out for guests when they visit. That should pare down your towel collection to a more manageable number. I can’t tell you an exact number that is appropriate here—that depends on how many members are in your family. What I can suggest is 2 towels per person—one that’s currently hanging in the bathroom and one clean one that can be conscripted in to service when the current one is in the wash.
One for every-other day of the week would be appropriate—many people don’t use them anymore, in this age of scrubbies, poufs, and other facial cleansing methods. Do you have a rag-pile (or kitchen-towel pile) in your linen closet? If so, fold those and put them on a shelf that’s easy to access. You’ll use those most frequently, so make them easy to reach and use. Again, sort through and see what’s in reasonable condition and put the rest in the pile for the animal shelter. What other things are in your linen closet? Do you have table linens there? If so, do you know what’s there? Are they neat enough that when you need them you don’t have to go digging and put the iron on “fry it silly” to get the wrinkles out? If any of the above is true, pull them out, wash, sort, keep only the best, and fold (or press) them quickly and put them away. Finally, if you have other miscellaneous things (doilies, candlesticks, etc.) 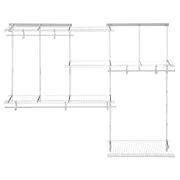 in your linen closet, set a shelf aside for those things. 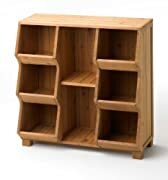 If you don’t have a full shelf to ascribe to them, use a shelf that’s only half-full of other items. Again, sort through and keep only what you’re in love with—anything else can be donated to a charity-resale shop, given to siblings, or sold on eBay. Don’t keep things “just in case” great-aunt Mildred comes by—she won’t, and if she does, she probably won’t remember what it was. Remember, you’re organizing your home so that it’s not just a house of stuff for your family. That’s much more important than not offending a distant relative! Keeping your closets organized can be frustrating, because it seems like everything winds up there. 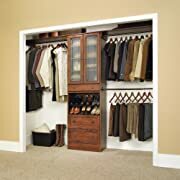 This next set of tips will give you some ideas on how to keep the clutter out of your closets. Start organizing that cluttered closet by clearing out everything that you don’t need in there. •Throw away or donate any clothes that don’t fit anymore or are out of style. •If you haven’t worn it in a year, get rid of it. If you have a lot of clothes, it helps to categorize them. There are many ways to do this, you just need to choose the right one for you. The secret to having an uncluttered closet is knowing how to store. It’s best to store things in clear plastic containers so that it’s easy to see what’s in them. 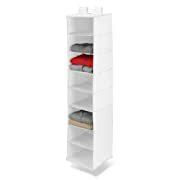 Shelves are also very useful for storing shoes and extra folded clothes. 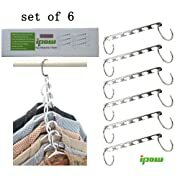 Hanging hooks in your closet can eliminate a lot of clutter. Organizing shoes can be a challenging job. 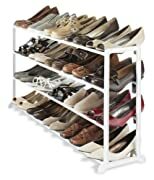 •Put a shelf in your closet for only shoes. 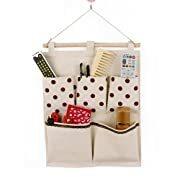 •Hang a “shoe bag” on the back of your closet door. 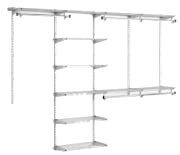 Shelves can be a big asset in your closets. 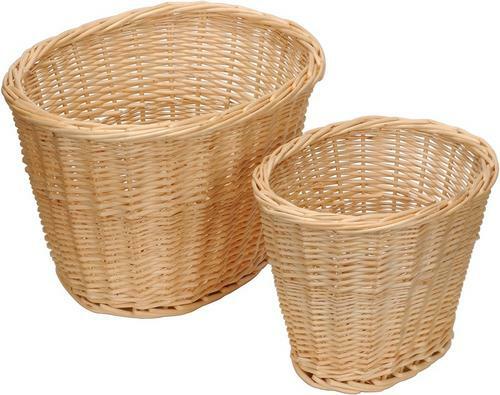 It’s a good idea to keep a couple of baskets in your closets. More and more homes these days have a home office. Without proper organization and upkeep, however, your home office can become cluttered and unproductive. When organizing your office, you’ve got a couple choices. Write a list of all the little things that need to be done and work on them a few minutes each day, or dive straight into the deep end and do it all in one fell swoop. If you’re sick of your entire office, box it all up like you’re moving, and set the boxes in a different room. Then unpack one box at a time and organize from the bottom –up. Make sure to file papers as you go along. I like the “little at a time” approach. My first step would be to take all the papers that are scattered about and put them into one box. You can file these now, or clean your desktop and surrounding area further. I like putting all the filing together, all the books together, and then working on one pile at a time. If several folks in your home are receiving mail, you can use wall-mounted acrylic holders and just label them with each person’s name. That takes care of the mail lying around. A friend of mine keeps all her bills on her refrigerator with a magnet. As soon as they come in, they go straight on the fridge. 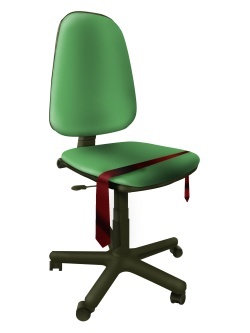 Decide what your office needs and designate a spot for each item. If you make calls from this area, you’ll need a phone, phone book, message pad and pens. You’ll need a place for the computer and accessories, plus a spot for copy paper. 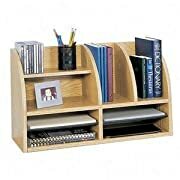 Set up the basics first, and then decide item-by-item what else you want to place in your office. Do you have room for personal items? Pictures can be placed on a bulletin board or hung on the wall. You ability to focus and accomplish is affected by a messy desktop, so make it a priority to keep it decluttered. Once you’ve set up the office and filed your paperwork, you can buy some colored folders or stickers and color-code your files to make it easier to find what you’re looking for. If you take just 15 minutes every other day to clean off your desk and surrounding work area, you’ll find your home office a much more pleasant place to work! And your personal efficiency will skyrocket as well! It seems like the flow of paper in your home office never stops. Handling this paper problem on a daily basis is important. Make sure you allow yourself time every day to clear off the papers on your desk and put things where they belong. 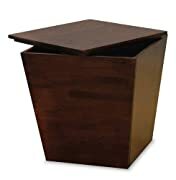 •Make sure to get a quality filing cabinet that has easily sliding drawers. •Use both hanging files (for broad categories), and manila folders for subcategories. •Make sure that all of your files are labeled well. Having a master calendar is important for organizing not only your office, but your life as well. Recently, we’ve taken to the great outdoors by adding living spaces to our outdoor areas. Whether you have a kitchen/dining outdoor space or if it’s a tiny patio where you love to read and relax, you can enjoy it more if you de-clutter the area. Old, dying plants, toys, plates and utensils can really clutter up an outdoor space, so clear out all you can and find simple storage solutions that will help. If you don’t have a garage, these tips still apply to you—just move the directions here to your basement, storage shed, attic, or wherever else you stash bigger things. First, we need to clean up your floors. If they are particularly cluttered, we’ll make a way, but it will take lots of small steps. Start by putting all garbage (trash) in a trash receptacle. I don’t care if it doesn’t have wheels or it doesn’t have a bag— just do it! If you’re not sure if it’s trash and don’t recognize it, put it aside and ask a member of your family. If they can’t identify it, pitch it. As you’re sorting through things, you need to make a pile of “keep” and “sell.” I recommend using old large flat sheets for this purpose—to keep things separated. Determine what you absolutely cannot do without (and why you love them!) and get rid of the rest. Now that you’ve sorted, let’s talk about shelving. If you don’t have shelves in your garage, you’re wasting valuable space. You will be amazed at what some plywood and brackets can do to get stuff up and off the floor! 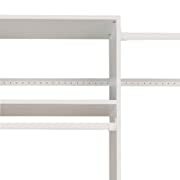 If you need to install shelving, now’s the time to determine how many and how long they should be. Then call your local lumber store and have some wood cut for this purpose. Plywood (at least ½” thick) will do the job. 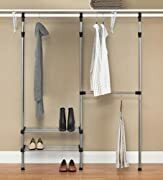 Put brackets at least every 2 linear feet. Then use a level and install the brackets. For added security, put a wood screw in at the edge of the bracket and wood—this will stabilize your shelf. Now start putting things that you’ve stored on the floor up on the shelves. I recommend an area for car-care things (oil, soap, antifreeze, etc. 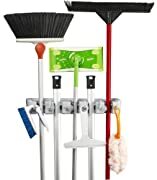 ), one for gardening supplies, painting supplies, and another for general house-items that you use once or twice a year. If your kids aren’t riding their bikes in and out on a daily basis, consider hanging them upside down from the garage ceiling. Hardware stores sell large hooks that screw in to the wall or ceiling and are wonderful to hang bicycles by—simply use the hooks to catch the inside of the tire, one for the front wheel and one for the back wheel. These hooks also work well if you have a fertilizer-spreader sitting on the floor—put the hooks in the wall and hang the spreader up and out of the way, especially since it’s only used a few times a year. Okay, your garage is organized, swept out, and ready to receive its inhabitants. Move your cars inside and enjoy the lack of frost, ice, & snow in the winter, and the lack of scalding hot steering wheel & seats in the summer! 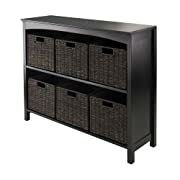 What else do you need to help you get organized in the home? Organizing your home is easy with all the online help and books you can use to find great ideas for storage and easy ways to de-clutter. When you organize your home, you’ll enjoy life much more. Organizing Your Home: Let’s Get Moving! Robotic Pool Cleaners Make Swimming Pools Fun Again! Do you fantasize about a litter free toilet trained cat?